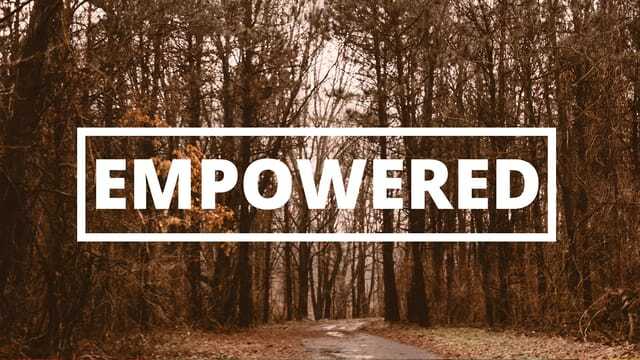 Empowered Week 6: “Equipped for Expectations"
Many Christ-followers could give a good description of God, the Father and give an understanding of Jesus, the Son, but what about the Holy Spirit? The Holy Spirit may be the most misunderstood Person of the Godhead (the Trinity). We get glimpses of Him throughout the Bible as wind, smoke, fire, a dove, etc. but misunderstand His necessity. Who is the Holy Spirit? How important is the Holy Spirit? Jesus himself said in Acts chapter 1, that, before the church could move forward, they needed to be EMPOWERED. They were not to be empowered with a “what” but a “who.” And that “who” is the Holy Spirit. Join us in March as we begin a six-week series in the book of Acts as we study the Holy Spirit’s empowerment of the Church and how He wants to empower our lives today. God always equips what He expects. The Holy Spirit wasn’t sent to tantalize our emotions but scatter us into a suffering world with a message of hope. I’m not sure we need another “Pentecost” as much as we need to encounter the Pentecost that already occurred. The Holy Spirit pours into you to use you, not to make you feel full. If this ministry has touched your life, and you'd like to give, follow the link using Planning Center Giving. Have you been looking for a place to serve? Check out some opportunities at Kfirst and be willing to serve.